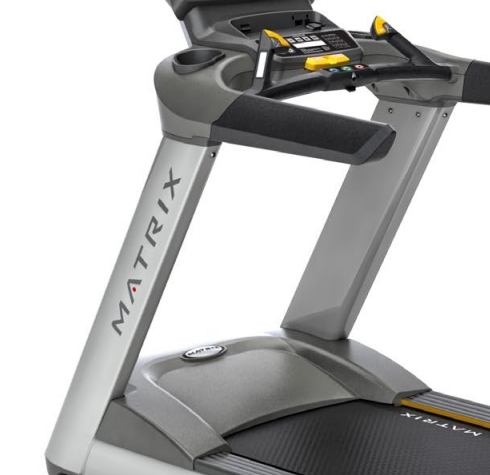 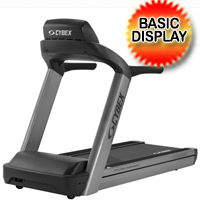 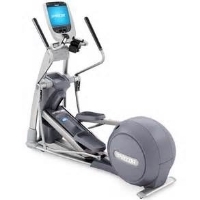 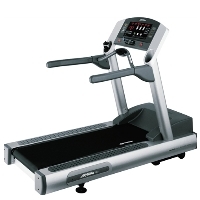 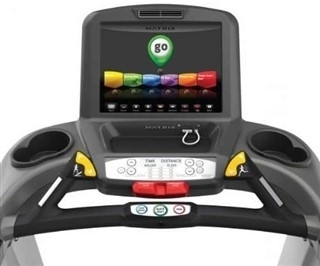 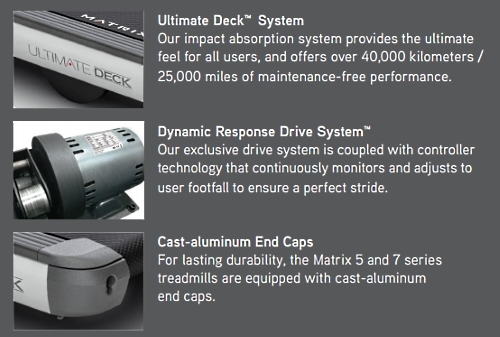 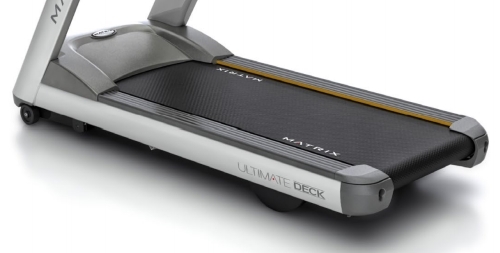 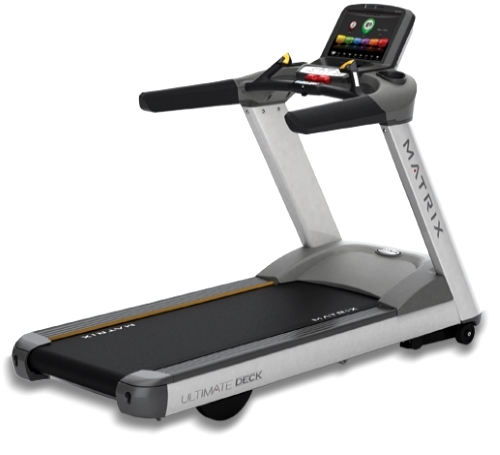 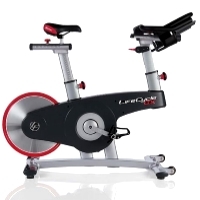 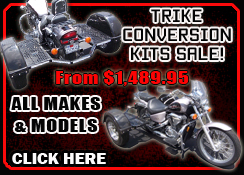 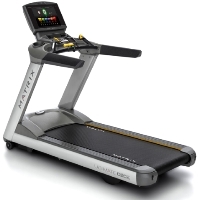 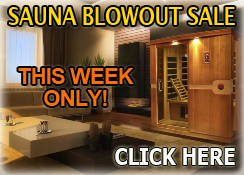 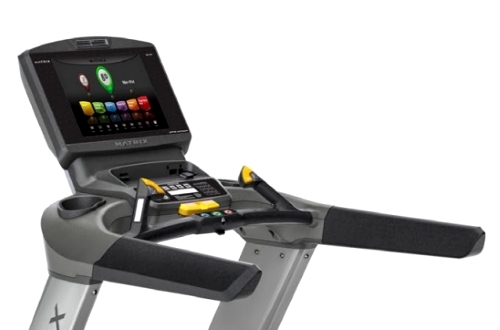 The Matrix T7Xe Treadmill features a 1" Ultimate hard-wax reversible deck with a cushioning system, 15” touchscreen LCD with a secondary backup LCD data display, an ethernet port, a 5.0 hp AC Dynamic Response Drive System™ and so much more! 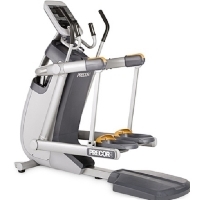 Assembled Weight 181 kg / 399 lbs. 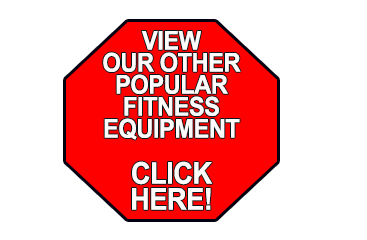 Shipping Weight 200 kg / 440 lbs.